Ask the Experts: Sleep Disorders Information from Jerald Simmons, M.D. Short Overview on Sleep Disturbances by Jerald Simmons, MD. A nationally recognized leader in Sleep Disorders with over 20 years of experience in academic and private settings, Dr. Simmons began his Neurology training at Washington University in St. Louis, and went on to study Sleep Medicine at Stanford University, the nation’s premier program for Sleep Medicine training and where the Sleep Disorders field originated as a medical specialty. He later studied Epilepsy at the University of California – Davis, after which he was recruited by the UCLA Department of Neurology where he Co-Directed the Sleep Disorders Center for six-years. 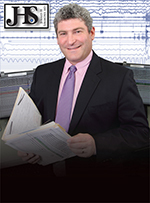 In 1999, Dr. Simmons was recruited to establish and direct the Sadler Clinic Sleep Disorders Center in The Woodlands. Seeing a greater need for treating sleep disorders throughout the metropolitan Houston area, he established Comprehensive Sleep Medicine Associates (CSMA), an outreach program with offices in the Houston Medical Center and Sugar Land. Dr. Simmons has been repeatedly recognized by H Texas Magazine as a Top Doctor for his outstanding patient care and ability to assess and help alleviate sleep disturbances. My doctor told me that I need a sleep study. Will I be able to get a normal night’s sleep in a strange sleep lab while hooked up to all of the wires? I have asthma, which was well controlled until I gained 20 pounds. Since the weight gain, I find myself waking up at night with asthma attacks and frequently reaching for my inhaler. My asthma used to occur primarily when I would exercise, so why am I now having attacks while I’m sleeping? I frequently travel internationally for my work. Unfortunately, after returning back to Houston from a two-week trip, I have tremendous difficulty sleeping and it usually takes about a week before I return to sleeping normally and feeling like myself. I have heard of Jet Lag and I assume that is what I’m experiencing. Do you have any tips on how to cope with Jet Lag? I find myself waking up with pain in my jaw, neck and head. Recently my doctor sent me to a dentist who diagnosed me with TMJ disorder. I do not clench my teeth during the day, but I seem to while I sleep. Do I have a sleep problem that’s causing me to wake up with this troubling pain? For 10 years I have been struggling with pain from Fibromyalgia. I had a sleep study that was “normal.” Is there really a link between sleep and Fibromyalgia, and if so what can be done about it? I experience an uncomfortable feeling in my feet and legs lying in bed, which briefly improves when I wiggle them. This causes difficulty falling asleep. My 14-year-old daughter has a similar problem and I notice her kicking during the night. I think we have RLS. What can we do? When I wake-up, my jaw hurts. My dentist diagnosed me with TMJ disorder saying I clench my teeth while I’m asleep. Why does that happen?